The Bandholz Beard style combines a mustache with a full beard. While the Garibaldi style stops at around the 20 cm mark, the Bandholz style does not have a specific maximum length. Due to this fact, it allows many people to grow this style of beard without looking the same. 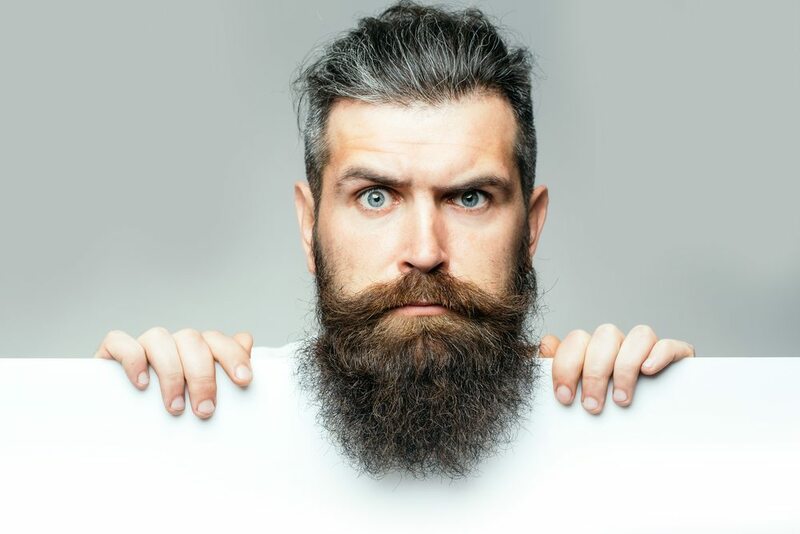 The mustache should be groomed so it does not extend over the upper lip and the edges should blend into the beard beneath. The base of the beard should be slightly rounded at the edges and the bottom should be even with as few stray hairs as possible. The idea behind this look is a woodsman combined with a sophisticated flair. The Bandholz beard can also be viewed as a philosophy in addition to an aesthetic look. This style is named after Eric Bandholz, a man like many other men who worked in a corporate job and was expected to look a certain way: clean shaven. But Bandholz loved facial hair and wanted to have a beard. Any time he tried to grow one out, he was mocked by his colleagues and did not fit in. Eventually, he realized that this job was not for him and quit his job as a financial adviser. He gained the freedom he was looking for and grew out the beard he always wanted to grow. He got freelance graphic designer work and even attended the West Coast Beard and Mustache Championship in Portland. An idea started taking shape, but it wasn’t until he attended a business idea pitching “Startup Weekend” where he met a few other entrepreneurs that a business concept was formed. They came together to start a luxury men’s grooming product company. They targeted the untapped market of “urban woodsmen” that also wanted to take care of themselves and look great. Years later, his company is still thriving and has created a brand and lifestyle more than a product. Breaking free from the mold that he had been forced into allowed Bandholz to find a new path and live his best life. Is This Beard for You? Just because hair grows out of your face does not mean that every beard style will work for you. Certain styles work better for some people more than others. Since the Bandholz covers the entirety of the lower jaw, chin and upper neck, it can be particularly effective to hide those areas if you have flaws. If you have a weak chin with no definition, lack a defined jaw line, or perhaps the top and bottom halves of your face are not in proportion, the Bandholz is a perfect way to camouflage those issues. If you do have a strong jaw and defined chin, maybe completely covering them is not the best plan. Check out the Balbo or Extended Goatee which will better highlight these strong and desirable facial features. Now, you need to analyze your face shape. The Bandholz works particularly well with round and oblong faces. Why? The squared off definition at the bottom of the beard adds the angle that your face is lacking. However, if you have a squarer face, this beard could amplify that even further and give you the dreaded block-head look. To soften those square angle, a softer and rounder style of facial hair will bring a helpful contrast. Now that you have successfully analyzed your face shape, identified positive or negative facial features, and assessed the thickness of your beard, it is time to get to business! The first step is to stare at yourself in the mirror and command your beard hair to grow. Did it work? Yeah, didn’t work for me either, but it’s always worth a shot. Since we can’t force our hair to grow, you must submit to the fact that growing a beard is a lengthy time commitment. If you have a job like the one that Eric Bandholz held previously, it may not fit into your lifestyle. Due to the length of this style, expect at least 2 months for a shorter style, but up to 6 months + for a full Bandholz. It could realistically take 10 – 12 months to achieve the consistent length that you are looking for. So what do we do to speed up the process? We need to fuel our bodies to become hair growing machines. The more optimal out bodies are functioning, the more effective them become at nearly everything… including growing hair. Make sure you are staying hydrated, eating organic foods, and avoiding foods with harsh additives and chemicals. If you don’t already take vitamin supplements specifically designed to grow beards, now is a good time to start. Also, remember that the hair that grows out first will be literally hanging off your face for months. The earlier you start taking care of it the better. If you are a cigarette smoker, consider quitting. The smoke can stall the hair growing process, make the hair smell like smoke, and… come on, do I really have to give you a reason to quit smoking? It is gross! In addition to your multivitamin, you will also want to incorporate hair growth supplements into your daily routine. Instead of having to take a bunch of pills, I use Beard Growth XL, which is a daily supplement with just about everything possible for the health of your hair packed into one pill from Vitamin A, B, C, and E, to a balanced amount of Biotin. The hardest part of the beard growing process is the first few weeks. Many are tempted to trim and shape the beard, but it is incredibly important to not pick up the razor and clippers. Keep them hidden in a drawer or locked up if need be. The beard may look scraggily or unkempt, but this is part of the grow out process. When I grew out my beard, I chose a stretch of time when I could get off from work around the holidays. This is ideal for some since many jobs do not like the look of a scraggily beard in its first week but are usually ok once the beard starts to take shape. If this is an issue for you, picking a strategic time can be helpful. About 3 – 5 days in is when it starts to get very itchy. This can also cause the skin under the beard to get dry and lead to beard dandruff, which needs to be avoided at all costs. Using beard oil will help to soften the hair and moisturize the skin, making it itch a bit less, but will also make it smell delicious. Bandholz’s own brand, Beardbrand, comes in a variety of scents and styles to match your beard hair thickness. I recommend going with the BeardBrand Lumber Yard. The best time to put on your beard oil is right after the shower. The steam has already helped to open the pores, and this will allow your skin to absorb more of the oil. Place a few dabs on your fingers and lightly massage the oil into your beard. Use small circular motions to cover all sides of each hair follicle. It should be very relaxing and feel wonderful. The skin around your beard will feel invigorated and moisturized. Once we start getting some length, there are a few new practices to incorporate into the routine. Finding the perfect balance of cleaning your beard is key. Too much can strip the essential oils from your beard, but too little can cause clogged pores and a dirty beard. Nobody wants a dirty beard. The chemicals and products in certain products can actually be harmful to the natural growth of hair. Look for a specific beard shampoo and/or conditioner that helps to stimulate growth and has a scent that you like. I recommend Professor Fuzzworthy’s Beard Shampoo due to its all-natural content and the scent matches the beard oil I also like to use. How much should you shampoo? Once or twice a week is a good average, but some people have slightly oilier skin than others. Start off shampooing your beard every three days and pay attention to how your beard feels and looks. Adjust as needed based on what works specifically for you. An ideal maintenance schedule would include shampooing your beard every three days, massaging beard oil into your beard after every shower and brushing your beard to spread the oils properly and ensure there are no tangles. Combing the beard, even at its shorter stages, will also help it to look less wild and a bit more tamed. What are we NOT doing? Trimming our beard! Let it grow to its full potential. You made it! The first month is the toughest, but if you consistently stick to the routines we outlined above, you should have a thick healthy base to your Bandholz beard. Moving forward, the length is up to you. It should ideally be longer than 20 cm so it is not considered a Garibaldi, but there is no maximum length. When the time finally comes for the first trim, don’t do it yourself… don’t trust your friend with a similar beard and whatever you do… do not ask your girlfriend or wife to do it. I have seen relationships crumble for lesser offenses than a ruined Bandholz beard. You have put so much time into growing it, treat it right by going to a professional. Find a local barber shop and make an appointment. Bring examples of what you are looking for to guide him and avoid mistakes. We recommend always going to the barber for subsequent trims, but the first visit is certainly the most important and necessary. The most important advice I can give is to start your beard care regimen as early as possible. You do not want to have to play catch up later once you have a stinky, dandruff-filled beard. If eating healthy and taking multivitamins is new to you, I would recommend making these changes for at least a week before growing your beard. Try to cleanse any chemicals or bad foods completely out of your system during that week so when you shave for the last time before starting your Bandholz beard growing, you will start with stronger and healthier hair.